Set amongst the Turkana people of Northern Kenya, Etabo dreams about racing camels, but is teased by his siblings for being too small. His hopes are further dashed when his father announces they must sell their camels due to the rising costs of water. Soon, he has only his favourite goat to keep him company, as his older brothers and sisters must go off to find work. He prays to Akuj, the Sky God, who will only tell him 'Your dreams are enough' a remark which proves prophetic when Akiru, his sister, feels sorry for him, and carves a set of wooden camels for him to play with. Her kind gift awakens Etabo's imagination, and he is soon dreaming of winning camel races. 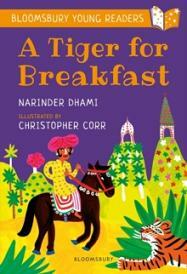 This gentle story about the power of imagination and family bonds is illustrated with stylised figures, touches of humour and some details of traditional dress and decorative necklaces.